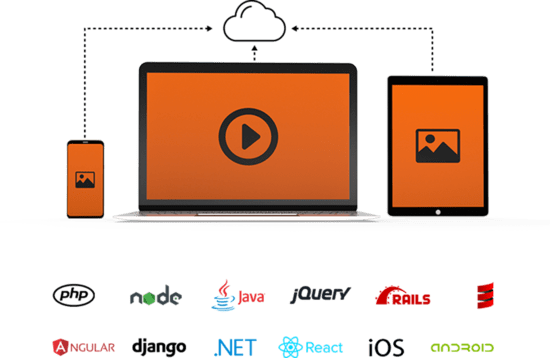 Upload images and videos to the cloud directly from a browser or an app without having to build and maintain any infrastructure. Perform server-side uploads to Cloudinary with an upload API or via client libraries (SDKs) that simplify integration into your web and mobile apps. Fetch resources from remote locations and add them to any folder in your media library. With just two lines of code, embed the Cloudinary upload widget into your website or app, enabling users to upload media files from any location. The widget shows upload progress and offers thumbnail-preview and interactive-cropping capabilities. Configure the widget to suit your functional and design requirements. 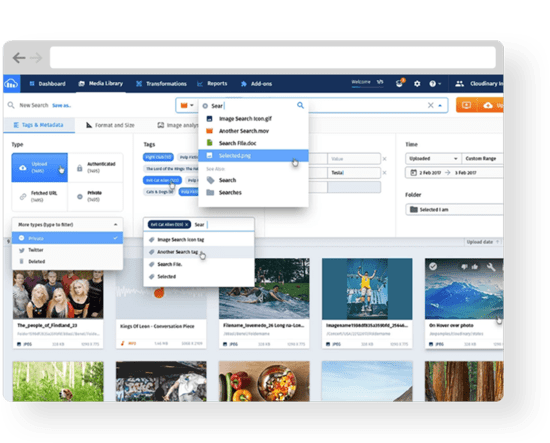 Easily add images and videos from across the web—such as Google Search, Facebook, and Dropbox—to your media library with Cloudinary’s responsive upload widget, which works on all devices. Use an interactive web interface to add images and videos to your media library. From there, manipulate images and videos, apply enhancements, add tags, and add or edit metadata. Browse and search your media library using tags and categories, as well as organize resources in folders and subfolders. Display the upload-progress bar to keep users informed. Display a preview of the uploaded resource for user review. Simultaneously upload multiple files of any type and size and in any format. Define a set of default actions for all file uploads to better manage user-generated content. Create multiple variants of the uploaded resource or transform the original resource during upload. In case of upload errors, get information on what went wrong and display a custom message for users. Extract and store media information, such as height and width, number of bytes, format, and embedded metadata. Automatically back up your resources in a secure location and keep multiple copies with revision control. Notify your users synchronously after processing the upload and transformations or asynchronously, if required. Store images, videos, and other media assets in the cloud, along with backup, revision history, and disaster recovery. Add resources to Cloudinary with just a few lines of code or fetch existing resources from remote locations. Integrate with your preferred development language through client libraries (SDKs). Enjoy the reliability of high-performance servers backed by Tier-1 cloud-storage providers, including Amazon S3 and Google Cloud Storage. Easily search, browse, and manage your media library from a web-based management console. Take full control of media assets with a comprehensive API that enables you to access, modify, delete, or recover them. 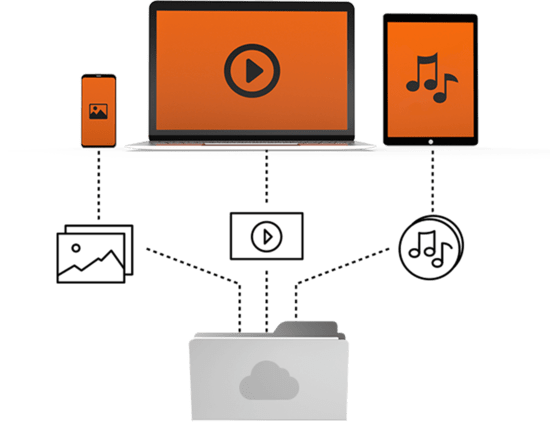 Effortlessly move your entire media library to Cloudinary at once or move the assets to the library on demand. Start small or get unlimited storage and automatically scale up or down, as needed. Store assets in shared, dedicated, or private buckets. Or use your own storage bucket. Use Cloudinary’s durable storage or your own storage bucket to backup and archive assets, complete with version control. All assets that are stored on Cloudinary are always available and supported by our service level agreement (SLA). Get a report on the usage of your Cloudinary account, including the details of storage and numbers of assets. Cloudinary encrypts your resources for safe storage and transfers them over Transport Layer Security (TLS) or Security Sockets Layer (SSL).